It’s become pretty clear that one way HIV persists in spite of an active, powerful immune response is to mutate its immune targets: “immune escape”. HIV isn’t the only virus that does this, and we can learn from the others. Cytotoxic T lymphocytes (CTL) identify virus-infected cells by recognizing short peptides, usually about 9 amino acids long. Each CTL is fairly specific; it only recognizes a single sequence. That means that if even one of the nine amino acids in its target mutates, the CTL is blind to the virus. If the CTL response to a virus is limited to a single peptide (which is, to a first approximation, the most common situation) then this single mutation will allow the virus to escape from the immune system, at least until new CTL arise targeting some different peptide. The downside of this, from the virus’s viewpoint, is that it doesn’t really “want” to mutate itself. There are a limited number of sequences which allow the virus to replicate and spread efficiently, and to the extent that the mutations drive the virus away from these fairly optimal sequences, the virus is less “fit”. That means that the immune response can actually limit the virus’s replication even after (in fact, because) the virus has mutated away from CTL recognition. What are the conditions under which this sort of continual partial control and constant escape can take place? One fairly obvious point is that the virus must not be eliminated by the immune system. If the first (or even tenth) CTL response to arise gets rid of all the virus from the host, then there’s no more viral immune evasion. I pointed out a parallel instance of this earlier, where poliovirus undergoes mutation in a person, but only when the person has a deficient immune system and can’t completely clear the virus. The virus needs to undergo constant replication over a long period, which makes this less of an issue for things like herpesviruses — they’re long-standing infections, but typically establish a latent infection rather than replicating throughout the infection. It probably would be helpful for the virus to mutate relatively fast, as well — DNA viruses like adenoviruses (which possibly do continue replication in persistent infection) have a relatively low mutation rate compared to RNA viruses like poliovirus or retroviruses like HIV. 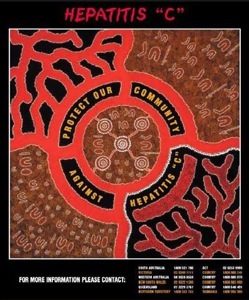 There are several lab animal and veterinary examples where something parallel to HIV immune evasion probably takes place (mouse hepatitis virus; perhaps feline infectious peritonitis virus), but the most popular choice for a close parallel to HIV is another human virus, hepatitis C virus (HCV). HCV, like HIV, can establish a chronic infection in immunocompetent people, and continually replicates. It’s been known that HCV mutates over time, and there’s decent evidence that much of this mutation is driven by escape from CTL. The parallels have become stronger with new evidence1 suggesting that virus fitness changes are an important factor in HCV immune evasion, as well, but there’s a twist that I, as least, haven’t seen in HIV. In these experiments, the authors experimentally infected a chimpanzee with HCV (as with HIV, there are not many good animal models for HCV) and tracked the immune response, and the dominant viral genome sequences, over some seven years. What’s more, the authors then tested those mutant viruses for their ability to replicate, persist, and evade immunity. As expected, HCV threw out a bunch of mutations, especially in the early stage of infection, and those mutants were not recognized by the immune system. On the other hand (also as predicted, from the work on HIV) these early mutants were not as good at replicating as was the original (immunogenic) virus: They were less fit. But — and here’s the twist — there were at least three variants that evaded CTL, arising early (3 months, for one variant), or moderately late (10 months; two variants). The one that arose early was clearly less fit. It didn’t replicate well even when there was no immune system controlling it (that is, in cultured cells in the incubator), and given the chance, it mutated back to the original sequence. The later ones, though, were not obviously as damaged; they replicated pretty well in cultured cells, and they did not mutate back to the original parent sequence. So for HCV, CTL escape mutants can arise, and there is not necessarily a loss of fitness associated with the immune evasion. I don’t remember seeing this established with HIV, but it’s quite likely the same thing happens. (Perhaps it’s even been described in the literature and I’ve missed it.) When immune escape variants are fit and healthy viruses, the immune system hasn’t even imposed a fitness cost on the mutation, and the virus isn’t being significantly controlled by the immune response. It would be nice to understand better where fitness costs arise, which immune responses drive viruses to these un-fit variants, and how to focus the immune response on a vulnerable target.